This post is sponsored by The Mountain® and the BlogPaws Professional Pet Blogger Network. 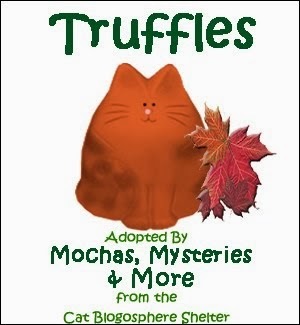 I am being compensated for helping promote the Russo Rescue Collection, but Mochas, Mysteries and Meows only shares information we feel is relevant to our readers. The Mountain is not responsible for the content of this article. My favorite pictures of myself as a little girl show me in my playpen with a stack of books in one corner and my childhood cat Patch in the other. Those treasured photos are proof that throughout my entire life, cats and books have been my greatest passions. This blog was born from those passions. Since I pretty much live in jeans and a t-shirt everyday, I wear my heart on my sleeve...literally. A large percentage of my ridiculously large t-shirt collection features cats. Just when I start thinking I need another one like I need a hole in the head, something truly special comes along. For over two decades, The Mountain® has been a bold player in the t-shirt game, appealing to anyone who wants to make a statement or simply just have fun with fashion. They love pets just as much as we do and it shows in their new line of Russo Rescue Collection pet t-shirts. What makes these shirts so special (in addition to the fact that the colorful artwork and quality of the shirt itself is exceptional) is that a portion of every purchase goes to Best Friends Animal Society, the nation’s largest no-kill animal sanctuary. 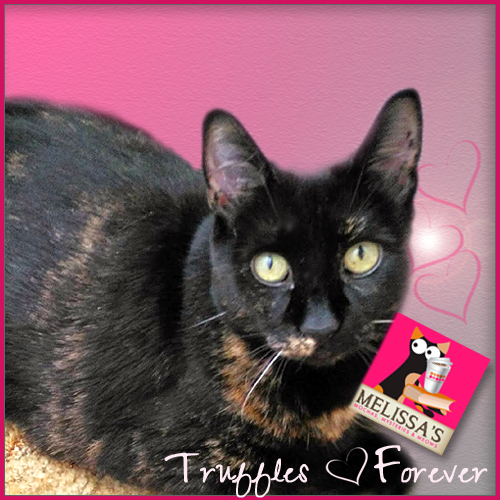 Every one of my beloved cats that I've shared my life with have been rescues, from the 3 month old kitten my parents brought home that had been dumped at my father's family farm to the elderly mancat abandoned by one of our neighbors to my last four little girls that were all adopted from shelters. A company and an artist that loves animals and gives back by supporting animal welfare organizations will *always* have this girl's undying support and admiration. 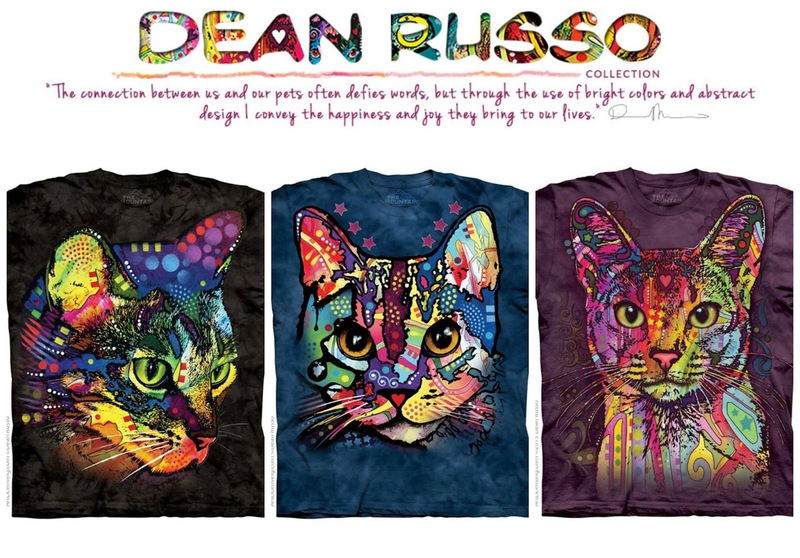 The entire Dean Russo Collection can be viewed here and while browsing the large selection I can already see that my t-shirt collection is going to be growing larger still. 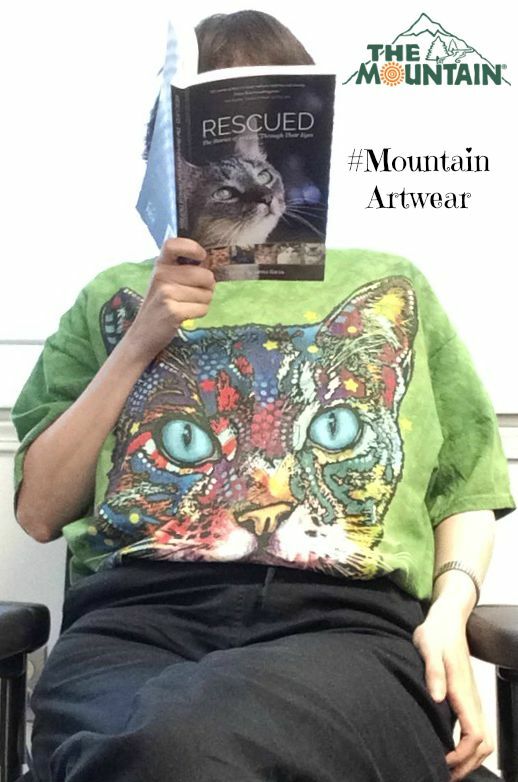 While my focus is on the cat shirts, The Mountain also carries dog, horse, even wildlife designs. 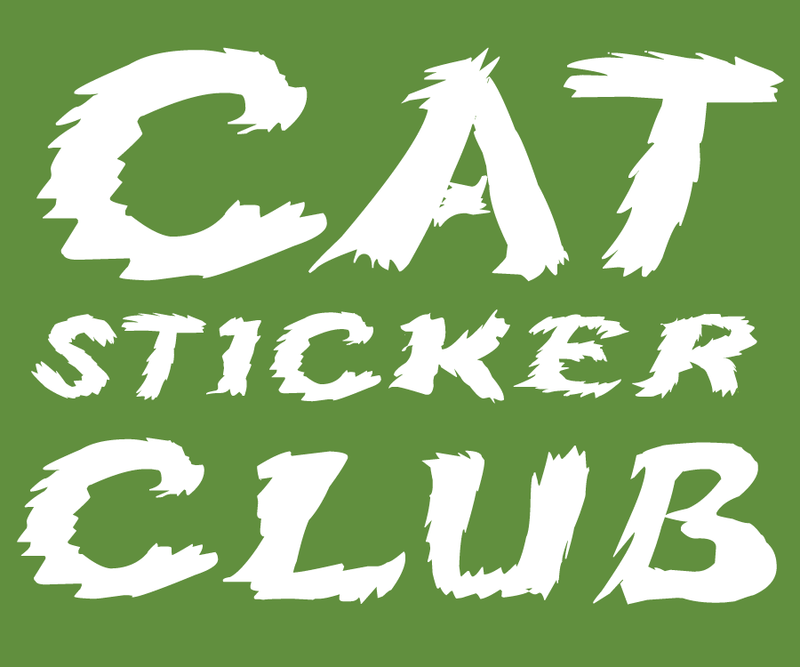 There's something for every animal lover to proudly wear their passion for pets! 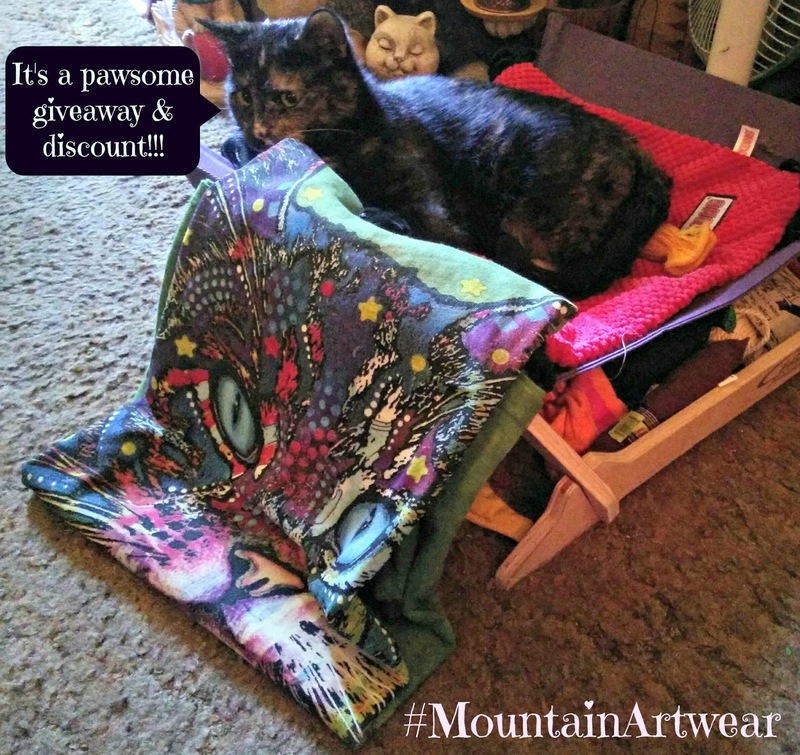 Grab your credit card and join me because The Mountain is offering a site-wide 25% discount through September 30th when you use the promo code MTNPETS at checkout. The Mountain is sponsoring one of the most amazing giveaways I've ever seen. 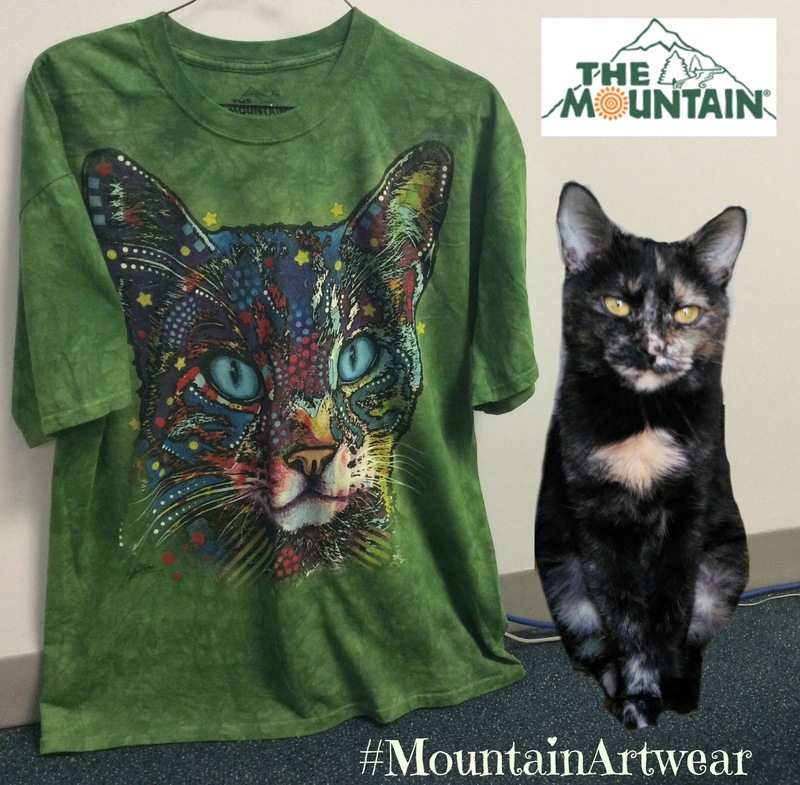 One lucky winner is going to win 12 months of The Mountain Artwear T-shirts for up to 5 members of their family. Do the math...that's 60 t-shirts!!! 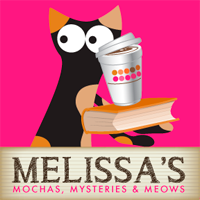 It couldn't be easier to enter - simply use the Rafflecopter widget below. The giveaway is open to US residents only, ages 18 and up. Make sure you sign up for their email newsletter too! What great t shirts - they are so colourful. We love how vivid the colors are on these shirts! The mom first saw one of these shirts at BlogPaws and fell in love with it. She keeps saying she's gonna order one...but hasn't. Now with this discount, she better! Those look like BEAUTIFUL t-shirts, for sure. Lovely colours. 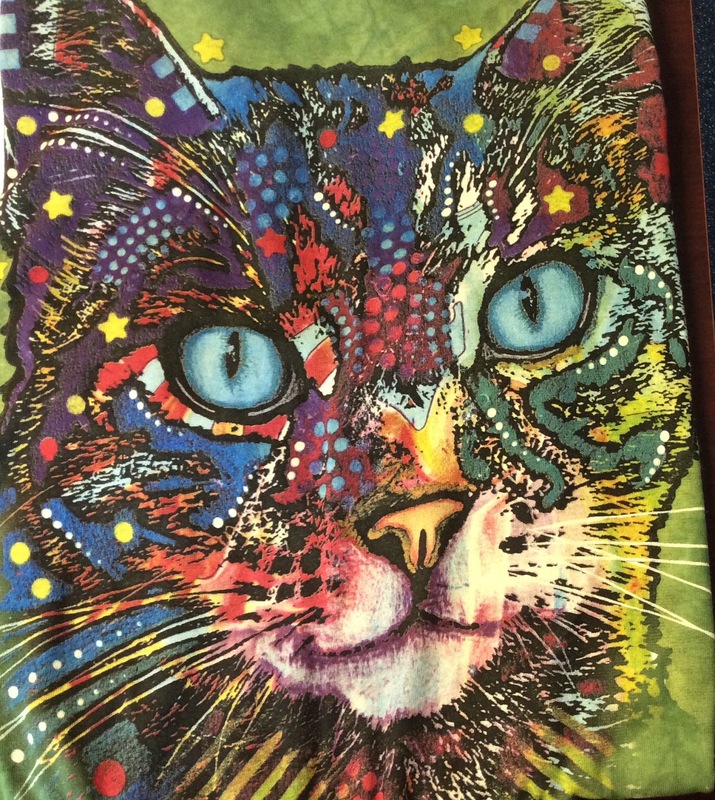 GORGEOUS cats. Those shirts are so pretty. I've always love Russo's art. These t-shirts are so neat! 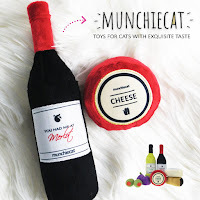 The more I see them on our furiends' blogs, the more I think I have to have one! You write very passionately about your passion. ☺ Love this post (I knew I would before I read it). You already know how I feel about these t-shirts (and kitties). My favorite sentence: "Just when I start thinking I need another one like I need a hole in the head, something truly special comes along." Ha, that's what I'll be telling my husband when he questions me about my next acquisition - it's TRULY special! Their shirts are really nice. Help me understand what a year’s worth of shirts entails—one a month? one a week? one a year? Those awe pawsum shirts. We sure hope we win. Mommy kuld use sum new shirts. 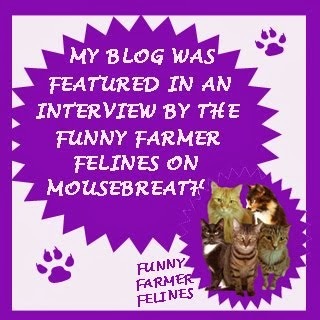 Mommy wears her Blogpaws tshirt all the time! She loves it. Wow, awesome designs, cause and giveaway. Thanks for sharing. Awesome art work!! And Mudpie only enhances it! Beautiful shirts! My favorite of the Dean Russo Rescue shirts was the The Thoughful Pitbull. My Pitbull is a stray we rescued from starving in our neighborhood & we are now in love with the breed. Some of my other favorites are Beware of Pitbulls, Russo Kisser & Happiness is a Pitbull's Smile. Thank you for sharing the page. I see some t-shirts I have to have. Thanks for sharing these printed t-shirts which are some kind of really cool t-shirts. Get these amazing cheap graphic t shirts from the Textual Tees at a reasonable price.